I had the most pleasant interaction recently in my front garden. 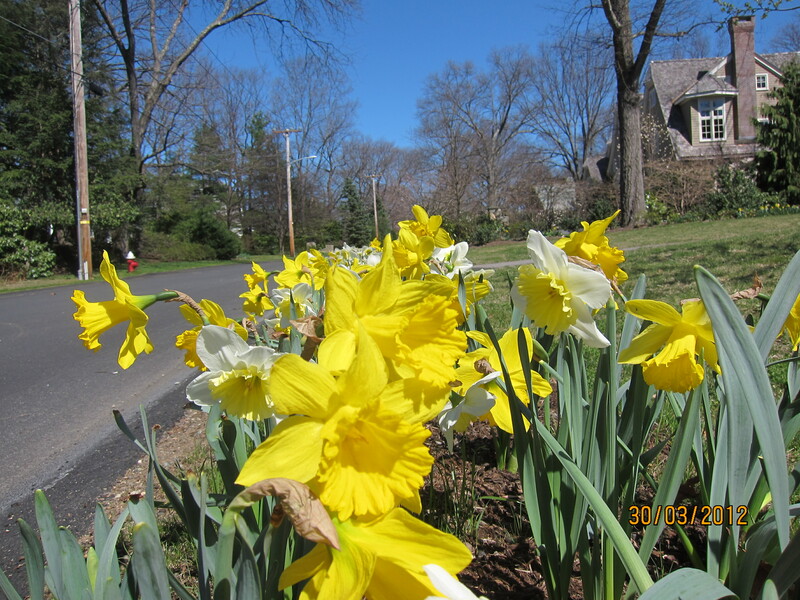 As I arrived home, a woman was taking photographs of the daffodils in my front yard. I stopped the car and rolled down the window to say hello. 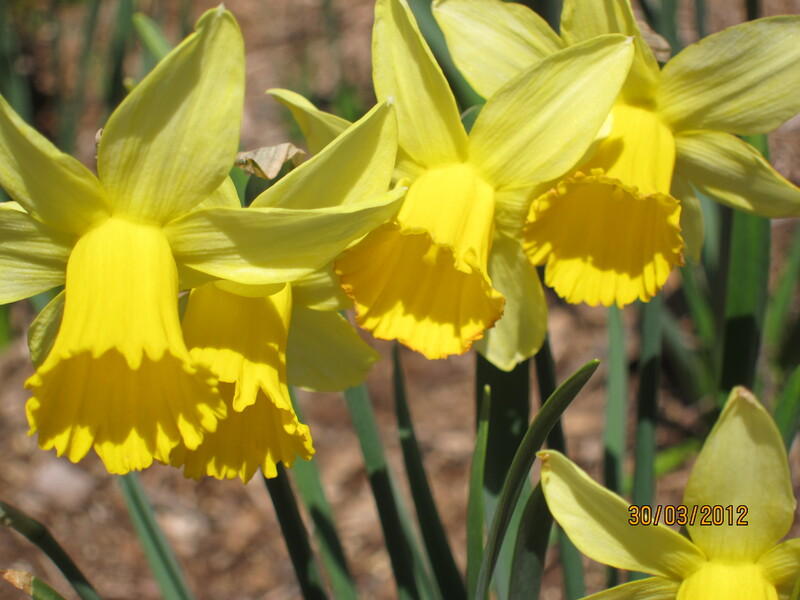 She told me her friend was in the hospital and she was taking photos of my daffodils to send to her friend, to cheer her up. 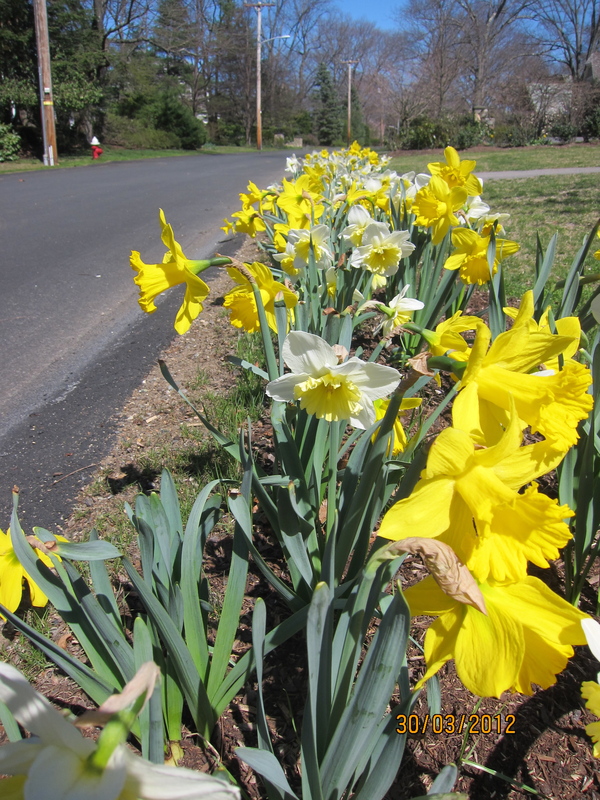 I am amazed and humbled to learn that such a simple action on my part, the planting of daffodils, can bring such a cheerfulness to people that they are willing to record the event and share it. But then, I question my amazement, because I believe that gardens are an essential element of human wellbeing and that gardens bring joy. It’s just a new way of thinking to connect my garden, and my actions with positivity. 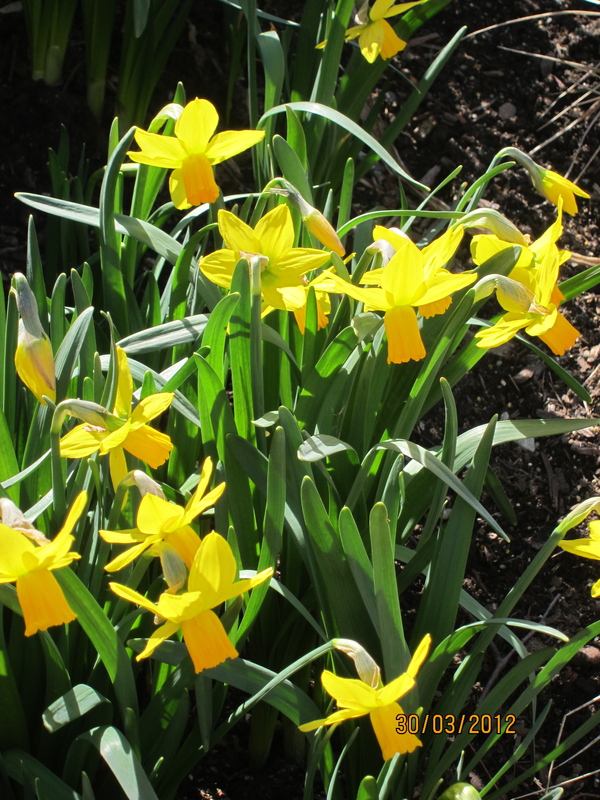 I am sharing with you some photos of daffodils. I hope they bring you cheer. cheer! they do bring cheer!